Three Things to Know About Which Comes First: Financial Planning or Estate Planning? Which Comes First, Your Financial Plan or Your Estate Plan? Here are the three reasons you MUST do your estate plan first. I am asked frequently, which comes first, a client's financial plan, or estate plan? How an advisor answers this question will tell you much about whether their priorities are aligned with yours or not. Here are the three things you need to know to answer this question and properly protect yourself, your family and your property. 1. Financial Planning Requires Time. Say you want to ensure a child can go to college. Your financial planner will assist you in establishing a plan that will involve savings and investment so that by college age, the college fund will either pay for or assist in college related expenses. The critical element in the plan is time. There will be insufficient funds the first few years of the plan to pay for college. You can see the same applies to goals like retirement. If the time horizon is not realized the plan fails. This is the reason that life insurance is an estate planning tool before it is used in a financial plan. More on that thought below. 2. Protect Against the Worst Risk First. The worst risk any client faces is dying or becoming disabled too soon. In other words, a near-term event that is unplanned. Unlike the financial planning time horizon, the worst risk can happen any time. A main reason to do your estate plan is to protect against the worst risk--an unplanned death or disability. Since this is an unplanned event, protecting against such risk is priority ONE. 3. Estate Planning Has No Time Requirement. There is no time required for your estate plan to work. Your estate plan must take into account the unplanned and near-terms risks mentioned above. 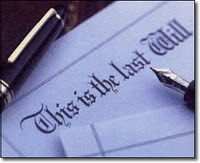 I can tell you that most clients who live to life expectancy do not die with their original estate plan. A client's estate plan will be revised several times over the course of their life. This is the beauty and necessity of the estate plan. It requires no time, no specific course of events in order to operate, unlike a financial plan. As mentioned above, this is why life insurance is part of estate planning before it is considered in the financial plan--we can protect against an unplanned, near-term death with life insurance. Those are the three reasons that your estate plan comes before your financial plan. Both are important and you should pursue both. Start with your estate planning to protect against the worst risk first and then start your financial plan. Let me know your thoughts on this important estate planning issue, your comments and questions are welcome. Feel free to email me at: bgreenberg@kgattys.com or call me any time at: 303-688-3535. Thank you.